If you’ve ever shopped for food online you probably know this: there’s a whole lot of products to choose from. If you’re looking for a new camera online, you’re used to applying filters to the abundance of search results. Be it picture sensor resolution, optical zoom or pivotable display — not a problem. You can configure the online shop in a way you’ll find the perfect camera. Why is that not possible for food yet? Unfortunately, it’s not as easy as it sounds and current solutions often fail. Good to know that there’s a new approach and solution waiting. How do you find the right food? 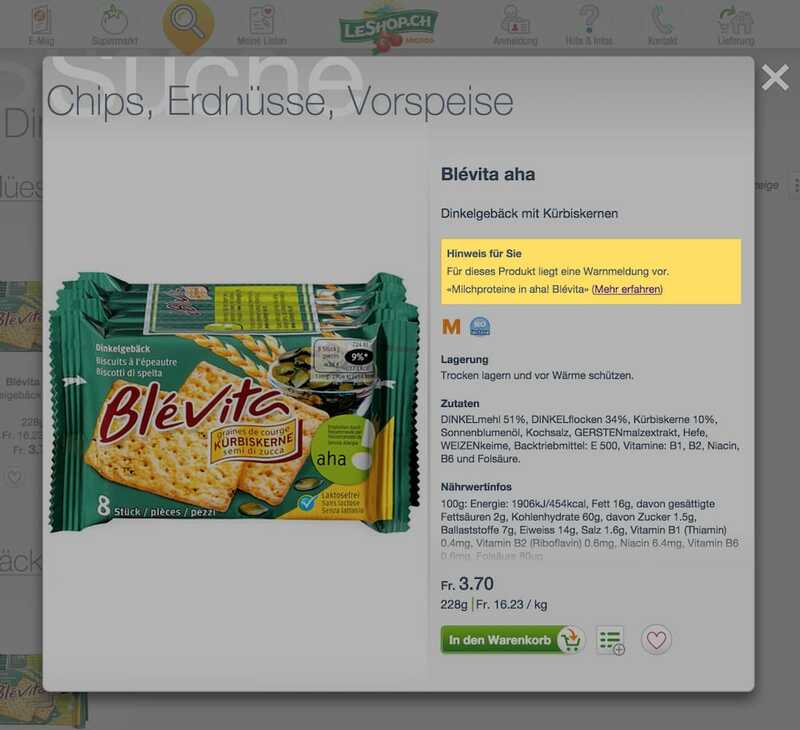 Almost every serious online supermarket has a gluten- or lactose-free section. The downside is: you will only find products from the so-called “Free From” category. Those are often modified foods that claim to imitate the original. Not always the best choice from a nutritional standpoint. There are still many foods that never make it into your scope if you just shop inside of this category. Take cucumbers or milk for example — gluten-free right? It gets even worse if you have multiple intolerances. Good luck finding the right products for you. Even if you can eat everything, you probably pick your food with some kind of filter in mind. Maybe you don’t like onions, prefer no additives, eat mostly organic or you only want to buy food containing no palm oil (that’s crippling the rainforest by the way). I’m not only talking about allergies and intolerances. We all eat differently and there’s not a “one size fits all” solution when it comes to your diet. Ingredients and products are well listed, tagged and cataloged — the data is available. All we need to do is use it in a intelligent manner. So how does this work? Just create a huge tag cloud that matches the ingredient list? Unfortunately, it’s not that easy. Let me explain you why. “A technically gluten-free product can still contain gluten.” Jürgen Schmidtlein, founder of “Zöliakie Austausch”, personal interview. Although the ingredients may contain no hints of gluten you’d have to consider where the food was produced and by whom, since there’s always the danger of contamination. Organisations supporting people with coeliac disease (the condition you have when you can’t have gluten) give out a regularly updated list of producers that are especially educated in this matter. These lists have to be considered into the selection process as well. Let’s say your favorite granola bar was accidentally processed with a batch of peanuts that were dumped into the production machine. Things like that happen. Wouldn’t you like to be informed about this when shopping? At the moment these recalls are published on separate websites, usually in some kind of blog format. But who reads those every day? Why not have this information directly displayed where it really concerns you? This would dramatically improve food safety and spare some people from the ER. 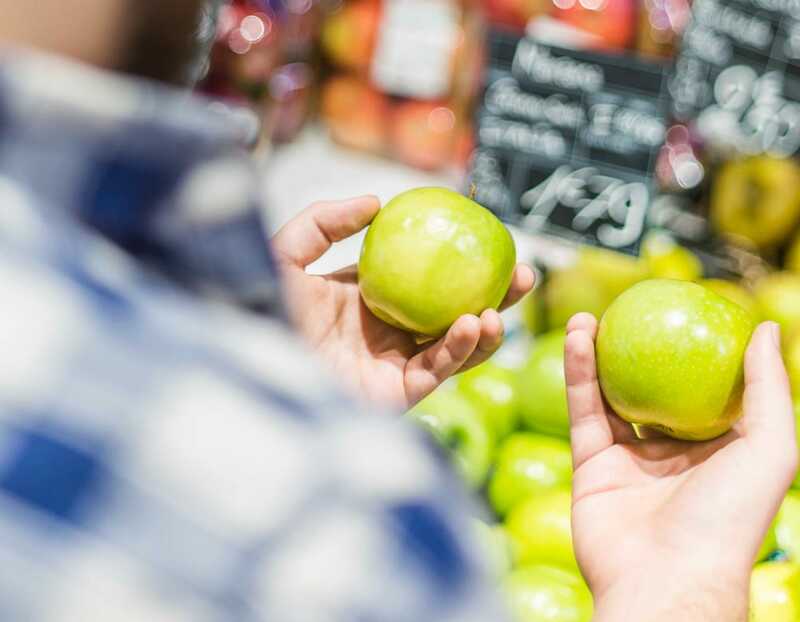 Nutridelta is building a filtering technology for online supermarkets so they can find the products from their inventory that are relevant for you. This will integrate directly into the shop. Think of it as a smart extension of your shopping experience. In this way we make sure the supermarket is always in control of their food data so you can trust the information you see. In this case you don’t have to rely on other websites and apps. Those deal with fragile user-generated content, don’t take daily-updated food warnings into consideration and don’t handle multiple filtering options well. If you enjoy going to the “real” shops (and you have every reason to) you would still be able to get an overview of things you could eat. Maybe you’ll even discover things you’ve never tried before. Got a nut allergy and don’t want to consume additives? What if there’s a full-organic pesto without cashews? The possibilities are tremendous once you configured your eating profile. Supermarkets will increase their revenue, encourage a customer to come again and — if a customer decides to receive newsletters — propose products that are highly relevant to them. “[In online food shopping] it is crucial who can serve the customers individual needs best, from order to delivery.” Dominique Locher, CEO of LeShop.ch in Migros’ annual report 2016. Shopping for food online is a fairly new field but ever-growing. Studies and trends show that people reflect on their food choices and strive for what’s best for their wellbeing. Making this as easy as possible for customers is not only a way to improve the numbers. It’s a business-promoting way to tell your customers you really care.